Hot Flashes Keeping You Up? Is your air conditioner failing to keep you cool this summer? If you are a woman in your 40s, hot flashes and night sweats may have you wishing for winter. Menopausal symptoms begin for most women in their mid- to late- 40s, and can start as early as the mid 30's and beyond. The telltale signs are not only hot flashes and night sweats, but also sleeplessness, emotionality, irritability and memory issues. Many of my patients feel the symptoms are similar to those they have experienced with PMS, except often on a larger scale. Don’t sweat it; the following home remedies can help you feel like yourself again. Like avoiding simple carbohydrates, such as cakes, candies and other refined sugar products can help reduce your symptoms. These contribute to insulin and blood sugar swings and can often lead to trouble concentrating, irritability and sleepiness. I suggest that my patients stick with a low-carbohydrate and high-protein diet. A multi-pill vitamin is also a good idea for your overall health. These are available at most health foods stores. Has also been medically studied and proven to decrease the symptoms of PMS, hot flashes and sleep disturbances. Yoga, in particular, is recognized as a very beneficial exercise for women in this age group. But any type of exercise is valuable to symptom control. Specifically at night, is also important. A night time routine can help you to get more sleep and improve your mindset. Be sure to wind down before bed time and avoid electronics, such as the television or the computer in bed. Finally, purge your mental “to do” list by writing it on paper before tucking in. Is an option for you, particularly if you are peri-menopausal (This means you are within the timeframe of initial onset of symptoms up to one year after your cycle stops.). You can try a progesterone cream daily, or from days 12-26 of your cycle if your symptoms are similar to PMS symptoms. If you have tried these at-home options, but are still suffering from symptoms, you shouldn’t delay seeing your gynecologist or age management specialist--even before your period stops. The first visit is the hardest. But keep in mind, that providers, like me, who are trained to treat menopausal symptoms are here for you. No question or symptom is too big or too small. 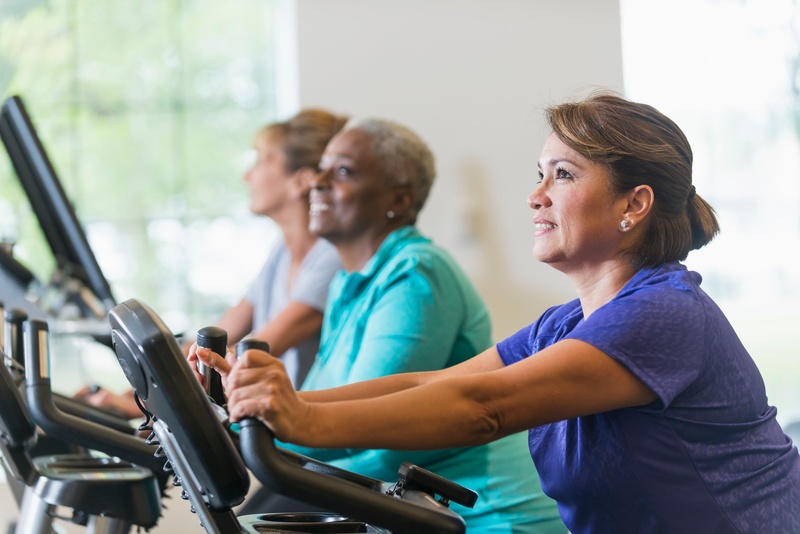 By tailoring a program for you, we can help menopause to be a breeze.